While he initially pursued a career in the advertising industry in Los Angeles, it was his first fine dining experience at Wolfgang Puck’s Spago Beverly Hills restaurant that sparked in Jeff Park a desire to trade the design desk for a culinary canvas instead. He packed up his belongings, returned to his adopted hometown of Vancouver — where he moved with his family from Korea at the age of 16 — and enrolled in Dubrulle Culinary School. Since graduating, his culinary acumen and reputation speaks for itself. He became a mainstay as both a chef de partie and sous chef at Whistler’s award-winning Araxi Restaurant & Oyster Bar for four years before heading eastward in 2007 to oversee kitchen operations at acclaimed Calgary hotspots Blink Restaurant & Bar and Chef’s Table at Kensington Riverside Inn. In 2011 he returned to his resort-town roots at Araxi as chef de cuisine and helped the restaurant continue to stake its claim as one of Canada’s top culinary destinations. 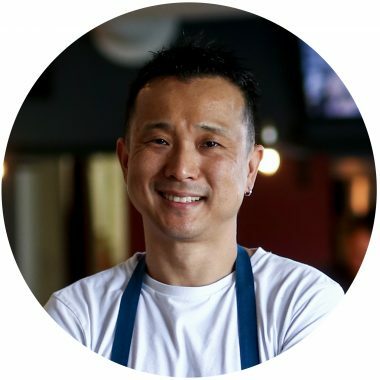 He credits his advertising and design background for his shrewd and creative use of colour and composition in the kitchen, and his culinary experience and innate knowledge of fresh, organic and seasonal fare for the local flavours and textures that punctuate and inform each dish he envisions. A proud resident of the town which he has called home since 2011 with his wife and two small children, Jeff is committed to providing the close-knit community of Squamish with a new contemporary and upscale dining experience that offers up a diverse menu of share plates comprised of locally sourced, sustainable ingredients that spotlight the very best of the Pacific Northwest. 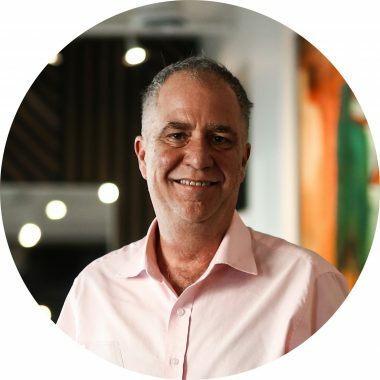 When searching for an established industry veteran who is steeped in expertise, oenology and displays a true talent for front-of-house hospitality, one need look no further than Pat Allan. More than simply a hobby, knowledge and appreciation of fine wine has been an enduring passion for Ontario native Allan, who launched his career in the industry fresh out of high school in the 1980s at the Chateau Lake Louise and Banff Springs Hotel. Arriving in Whistler in 1986 for the skiing, Pat’s love of all things grape led him to pursue his Sommelier Diploma with the Wine and Spirits Education Trust and the Canadian Sommelier Guild, earning the highest marks in BC and the third highest score in all of Canada. He quickly became a fixture and familiar face in the resort town, working first as a bartender at Brandy’s at the Keg, then as bar manager at Tapley’s Neighbourhood Pub and Jimmy D’s and eventually wine director at Monk’s Grill before he joined the team at award-winning Araxi Restaurant & Oyster Bar as restaurant manager and sommelier for a 14-year stint beginning in 2002. An avid fly fisherman, skier, golfer and photographer who has two daughters and has called Squamish home since 2010, Pat is excited to have the opportunity to introduce a new upscale dining experience to the community at The Salted Vine and curate a wine and cocktail program that not only features the best of BC but notable vintages from around the globe.